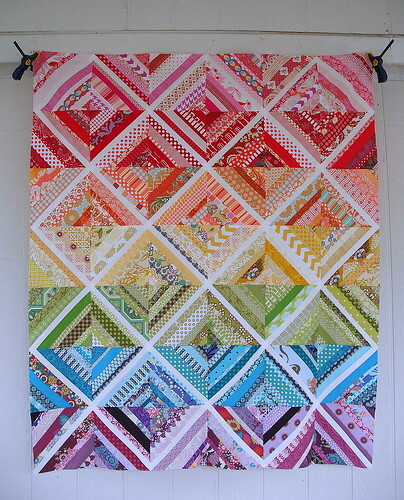 On a side note, this quilt top was too long for my fence. 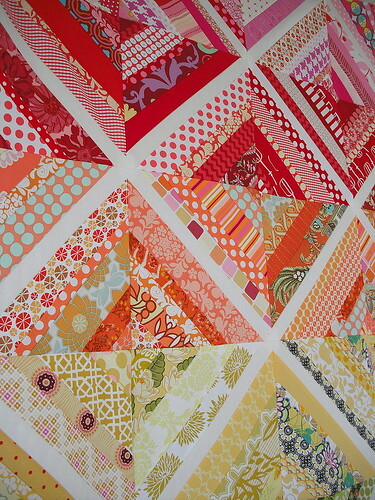 (Or is my fence too short for my quilt top?) Anyways, this is the back of my house. And I barely made it up there with a chair. 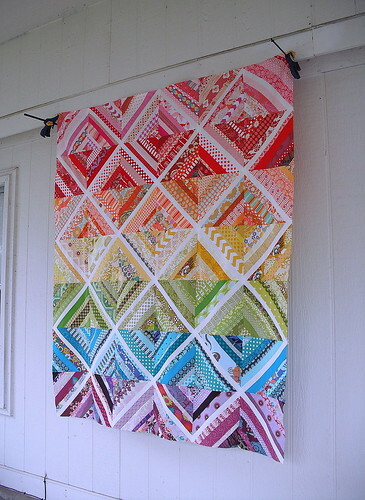 Nevertheless, I wonder if I can get my husband to install something permanent for my quilt pictures.... ha! But I digress. I actually had to buy some scrap packs in yellow, orange, and purple to get this thing done. Ironic, considering that the purpose was to use up scraps, and I think I ended up with more than I started. Oops! Despite the long wait and all of the hard work (tearing a million tiny strips of paper off the back of 42 blocks, anyone? ), it was totally worth it. Because I love it even more now than I did when it was just an idea in my head. For those interested, I made 11" blocks using Film in the Fridge's tutorial and parchment paper as the foundation. The top ended up at 71" x 61". Tearing off the paper took some practice and I ended up pulling some threads, so I had to use a 1/2" seam allowance when I pieced them together. 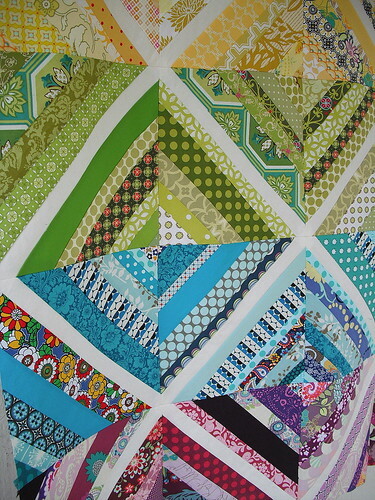 This quilt top will be linked up at Stitched in Color's Scrap Attack Quilt-Along Festival, which starts on Monday, so be sure to check out all of the beautiful scrappy inspiration!